Launching yet another bigotry-driven attack on those fleeing wars and humanitarian crises in which the U.S. is playing an active and deadly role, the Trump administration announced late Monday that it is reducing America’s refugee admission limit for 2019 to a record-low 30,000. Eric Schwartz, president of Refugees International, called it an “appalling” announcement. “At a time when the world is facing the largest displacement crisis in recorded history, it is unconscionable that the Trump administration would further dismantle the U.S. Refugee Admissions Program by setting a cap of 30,000 refugee admissions for fiscal year 2019—the lowest resettlement cap in the program’s history,” Win Without War director Stephen Miles said in a statement slamming the White House’s decision. 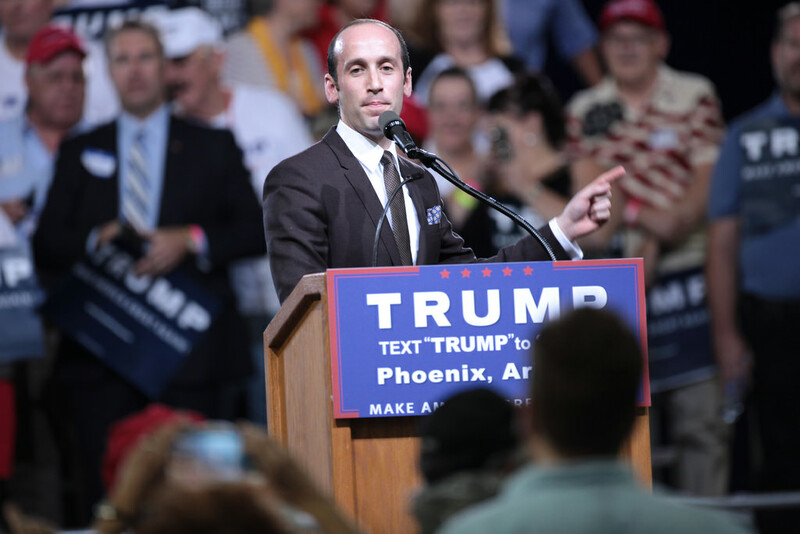 Unveiled by Secretary of State Mike Pompeo on Monday, the new “cap” of 30,000 refugees is 15,000 lower than the 2018 mark, making the new policy a major victory for top White House adviser and virulent racist Stephen Miller. “This is the lowest goal in the history of the program, and compounded by this administration’s history of creating road block after road block for refugees to arrive, this must be perceived as an all-out attack against our country’s ability to resettle refugees both now and in the future,” Ryan Mace, grassroots advocacy and refugee specialist at Amnesty International USA, said in a statement. While the administration’s official cap represents the highest number of refugees the White House is willing to provide a safe haven from violence and persecution, it is far from a requirement. Thanks in large part to its inhumanely restrictive border and asylum policies, the Trump administration admitted just 20,918 refugees in 2018, less than half of the White House’s 45,000-person cap. But as the Trump administration has drastically restricted the number of refugees from Africa, Asia, and the Middle East, Vox‘s Dara Lind noted on Monday that the White House has not significantly curtailed European refugee admissions. This entry was posted in Civil Rights, Corruption, Government, Human Rights, Immigration, Racism, Refugee Issues, Social Justice, Women's Issues, Workers' Issues and tagged Atrocities, Civil Rights, Corruption, Donald Trump, Human rights, immigration, John Kelly, Mike Pompeo, Racism, refugees, Refugees International, social justice, Stephen Miller, U.S. Refugee Admissions Program, Women's Issues, workers' issues on September 19, 2018 by ew.